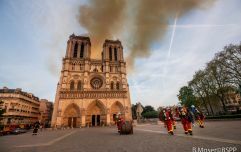 Two billionaire French businessmen have offered their support to help repair Paris' Notre Dame Cathedral after a fire partially destroyed the iconic building. Buzzfeed report that businessman François-Henri Pinault has dedicated €100 million to the cause. 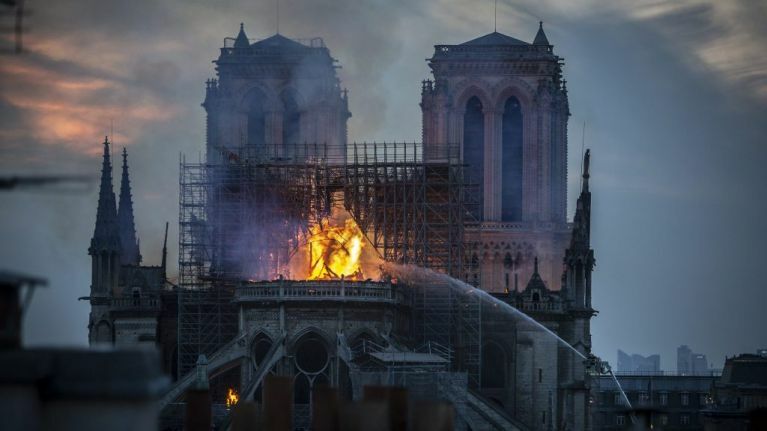 In a statement, he said: "My father [François Pinault] and I have decided to release as of now from the funds of Artemis a sum of 100 million euros to participate in the effort that will be necessary for the complete reconstruction of Notre Dame." Pinault is the chairman and CEO of luxury group Kering - Gucci, Yves Saint Laurent, Balenciaga, Alexander McQueen and Ligue 1 side Stade Rennais F.C. all fall under his control. Not to be outdone, Bernard Arnault of rival luxury goods group LVMH has also pledged €200 million to go towards the repairs. LVMH'a brands include Moët & Chandon, Luis Vuitton and Hennessy.